The Williams College Museum of Art (WCMA) presents It’s Not Nothing, on view from May 11 through June 3, 2018. 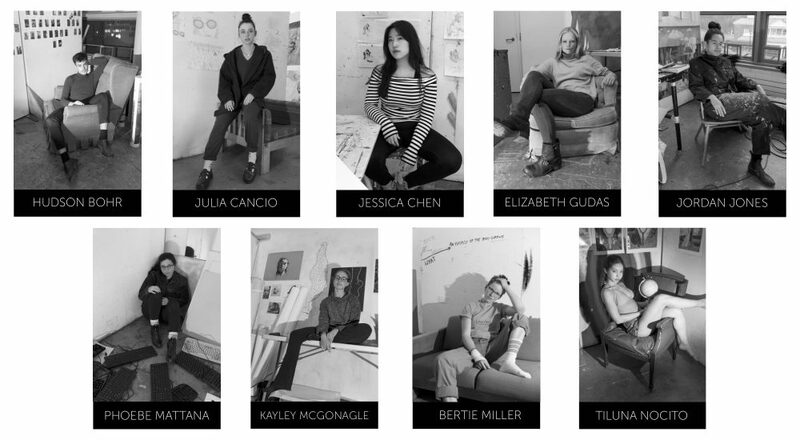 The exhibition features the work of nine Williams College studio art majors: Hudson Bohr, Julia Cancio, Jessica Chen, Elizabeth Gudas, Jordan Jones, Phoebe Mattana, Kayley McGonagle, and Bertie Miller. The senior studio exhibition celebrates the culmination of each artist’s senior project. The opening will take place on May 11 with a free, public reception beginning at 7:00pm. All are invited to attend. The Class of 2018 has worked in a variety of media including: paint, drawing, photography, collage, video, performance, and multimedia installation, and explores a wide range of themes ranging from the body and identity to shape and color to race, gender, and sexuality. Other thematic pursuits include storytelling through images and illustration, commenting on consumer culture. Contact Rebecca Dravis to join our press list and for more information about exhibitions, programs, or interviews with WCMA staff.